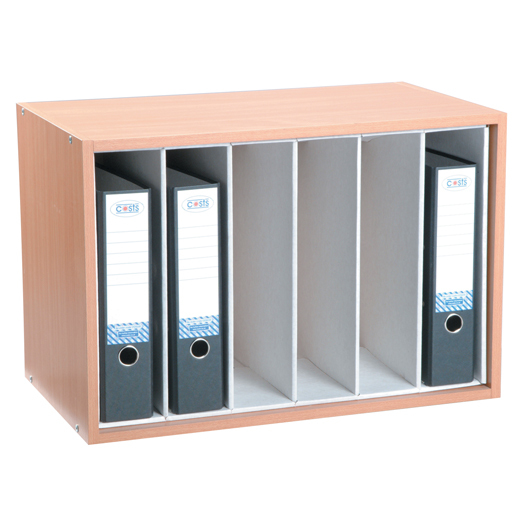 A practical unit ideal for desktop storage of up to 6 lever arch files. The units are manufactured from beech effect laminated wood shell with strong inner corrugated modules. Supplied flat packed.